WRITING AN INVENTION BUSINESS PLAN - Advice for inventors. A common difficulty inventors encounter when writing an invention business plan is finding information about the industry and competition. Fortunately, the Internet allows you to collect this information but you should also collect information locally by visiting locations and asking questions. You shouldn't delay writing an invention business plan. It is a process of research, analysis and strategic planning that is necessary to successful inventing. 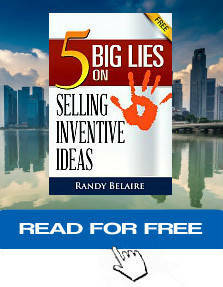 Inevitably, your plan helps you to sell your invention. It is a tool to present information to others so they will invest in you. The writing should not contain hype or meaningless adjectives. Any descriptions should be focused and conservative so you are able to justify them. Writing an invention business plan indicates to someone how well you think and plan - and whether you are result oriented. One of my inventions was a glass cleaner. When I was writing my invention business plan, I approached a major retailer as part of my research. I met with a purchasing agent of a major retailer to get his opinion of my invention. It was a cleaning formula and I didn't need a patent because the formula was kept as a trade secret. The purchasing agent was interested in purchasing my product to test market it in some stores. We discussed numbers, pricing and terms. He knew that my invention was not in production and that I was preparing a business plan. I asked him to confirm in a letter his interest in purchasing the product, which he did. I put this letter in my business plan. It was a key part that inspired an investor to fund my invention because if a major retailer was interested, then it must have potential.